Every little princess deserves a special birthday party! Plan your child's special day the easy way, with some printable princess party invites. She can even help you with the planning process by writing out addresses and stamping envelopes. 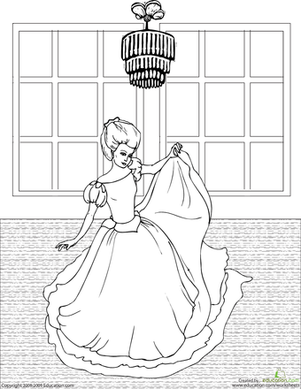 This detailed coloring page features a dancing princess in a ballgown.